SS 304H Tubes, 304H Stainless Steel Pipes, SS UNS S30409 Pipes, ASTM A312 Stainless Steel werkstoff nr. 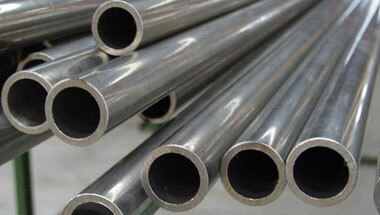 1.4301 Seamless Pipes & Welded Tubes Supplier & Exporter in India. Neon Alloy’s is one of the major Indian manufacturers, exporter of 304H Stainless Steel Seamless Pipes & Tubes & OCTG, CRA (Corrosion-Resistant Alloy) Seamless Tubes, Stainless Steel , Super Duplex , Duplex , Welded & Seamless, Tubes, Capillary Pipes & ‘U’ Tubes. The austenitic structure of Grade 304 enables it to be severely deep drawn without intermediate annealing. Grade 304 is roll formed into pipes & tubes for applications in the industrial, architectural and transportation fields. Grade 304H with its higher carbon content finds application at elevated temperatures. The austenitic structure also gives these grades excellent toughness, even down to cryogenic temperatures. SS 304H Stainless Steel Pipes & Tubes are used widely in oil & gas, LNG, Thermal & Nuclear Power Plants, Chemical Industries, Fertilizers Plants, (petro) chemical, shipbuilding, desalination, water treatment, energy industries, EPC and Pipes for General Engineering Purpose. Our product 304h tubes and pipes, SS 304H Pipes, SS 304H Tubes, Stainless 304H Seamless Pipes & Tubes etc. These products are available at best possible prices which is another important feature exhibited by our products range. Stainless Steel 304H ERW Pipes, SS 304H Seamless Tubes, Steel 304H Welded Pipes, Stainless Steel 304H EFW Tubes, Stainless ASTM A213 / A249 304H Seamless Pipes Manufacturer in India. United States, New Zealand, Iraq, Africa, Jordan, Turkey, Houston, UAE, Argentina, Brazil, Cameroon, Kuwait, Tunisia, Trinidad and Tobago, Germany, Australia, Egypt, Peru, Azerbaijan, Malaysia, Sudan, Nigeria, London, Thailand (Bangkok), Indonesia, Democratic Republic of the Congo, Ghana, Kazakhstan, Sri Lanka, UK, Ethiopa, Vietnam, South Africa, Bahrain, Israel, Saudi Arabia, Uganda, Venezuela, Dubai, Chine, Mexico, Mozambique, Angola, Italy, Canada, Iran, Morocco, Colombia, Russia, Algeria. Johannesburg, Abidjan, Mecca, Casablanca, Mbuji-Mayi, Dakar, Cape Town, Harare, Mogadishu, Colombo, Dammam, Riyadh, Kano, Alexandria, Port Harcourt, Dubai, New York, Subra al-Haymah, Bulawayo, Omdurman, Byblos, Nairobi, Soweto, Brazzaville, Kampala, Hong Kong, Aqaba, Khartoum, Lusaka, Ibadan, Durban, Dar es Salaam, Jerusalem, Muscat, Data from the UN, Addis Ababa, Kolwezi, Cairo, Giza, Maiduguri, Port Elizabeth, Fez, Tripoli, Zaria, Tehran, Kinshasa, Manama, Singapore, Rabat, Algiers, Amman, Yaoundé, Doha, Accra, Bethlehem, Beirut, Freetown, Ouagadougou, Douala, Abu Dhabi, Luanda, Pretoria, Kaduna, Antananarivo, Cairo, Sharm el-Sheikh, Lagos, Tel Aviv, Lubumbashi, Jeddah, Bamako, Maputo, Istanbul, Conakry, Benin.